After the bottom has been glued-up using the same method as the top section, two large rabbets are cut in the bottom. These will accomodate the detachable base. 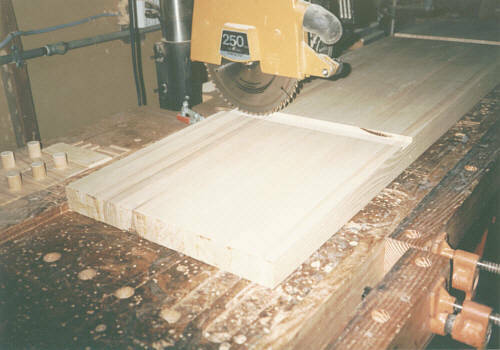 For this, the radial arm saw (pictured)was used. 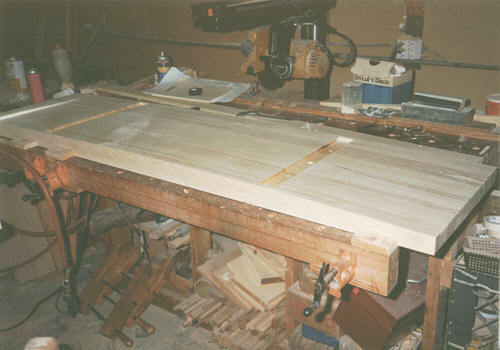 After the rabbets were made, outer pieces of wood were added to the base, hiding the cut.